My name is Ali Tarhini and i am a Dev. Lead at a local software company in Lebanon. I am currently working in the domain of HealthCare solutions and building software systems for hospitals and other government institutions in the MENA region. Before healthcare, I used to work on Travel Management Systems and even before that I was a developer for Content Management Systems for building dynamic web content. 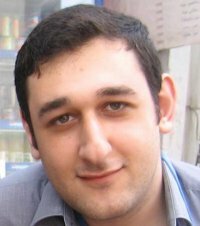 I have a bachelor’s degree in Computer Engineering & Informatics from Beirut Arab University and have a Master’s degree in Electrical & Computer Engineering from the American University of Beirut. My undergraduate thesis was about pattern recognition, specifically about face detection and recognition where I developed, along with my collegeaus, a software package that is capable of finding and detecting human faces in still images and apply two recognition algorithms in order to identify the names behind the faces. My masters thesis was on Automatic Loop Parallelization where I invented a new approach for automatically finding an optimal schedule for running multiple iterations of loops in parallel in order to optimize execution speed and reduce memory overhead. I am a software geek, so my posts will mainly focus on programming, particularly on the .Net Framework and the web, SQL, and a strong focus on algorithms. Hello. My name is satryo. I’m a bachelor degree student in Computer Science UGM, Indonesia. Can i’ve ur email contact? I want make implementation of face detection using matlab from viola and jones paper “robust real time object detection” for my assignment, but i could’nt understand some part. Like how to construct weak classifier from rectangle feature? I’m not sure with parity,unknown threshold,and what features to make that equation (hj). Could you give me explanation or sample implementation about viola’s method? Great thanks. Thanks for your good works.I want you to send me Chi-merge discritization program exe. (for IRIS data set) .if ypu can send , I will be glad. thank you for your interest in chi-merge. I have the implementation in vb.net, please send me your email address. you are working with face detection algorithm? I am a Student in Germany from Lebanon. I am working now with the Methode Modified census Transform from Ernst and Fröba. They work with 3 stage cascade and winnov update rule.you have a adaboost cascade algorthm for Matlab and winnov update rule? adaboost carry the histograms of the training images face and non-face with the Pixels of the given image or also with the histogram? I’m Lakshmi, from India. I’m working on face detection algorithm. I need to know more about the training of faces using adaboost to make the detection of faces more accurate. Regarding your chi merge discretization, why did you set E = 0.5 if its value is less than 0.5? I want a permission to use one of the image that I saw in your work. The picture is about variation in illumination, So may I use it in my thesis ?